Association of components whose analgesic action, dehydrating and disinfectant contributes to immediate sedation of acute earache that appears under certain conditions of outer and middle ear. Conditions of outer and middle ear accused presenting pain and need for antisepsis. Furunculosis outer ear. Otitis media with eardrum simply catarrhal integro. Instill 2-3 drops in the ear and then cover it with a cotton swab. Unless otherwise specified medical, repeat the treatment 2-3 times a day. Perforated eardrum and otitis media with effusion. Dermatitis and eczema of the ear canal. It may be suspected that there has been perforated eardrum if discharge or bloody exudate, in which case notice must consult the doctor before taking the preparation. To circumvent side effects that could possibly occur, it is recommended to limit the administration prepared to cases in which, remaining intact the eardrum, acute pain and required not keep the really precise treatment longer. Athletes are informed that this medicine contains a component that can establish an analytical result of doping control as positive. In case of excessive application pierced ear irritation may occur inside the middle ear. The patient should inform your doctor or pharmacist about any adverse reactions were not described. 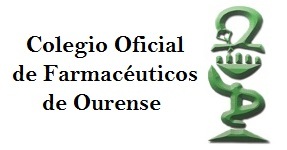 In case of overdose or accidental ingestion, consult the Toxicology Information Service, call +34 91 562 04 20. Before administration check that the expiry date of the packaging has not been exceeded. Pedro IV, 499-08020 Barcelona. Spain. Polygon Malpica c / C No. 4.